Siloxane is added to personal care products like lotions, deodorants, and shampoos to give them a smooth, silky feeling. It belongs to a class of chemicals called volatile organic compounds (VOCs). Once applied, they evaporate quickly. In the air, sunlight can trigger these VOCs to react with nitrogen oxides and other compounds to form ozone and particulate matter – two types of air pollution that are regulated because of their effects on air quality and human health. Volatile organic compounds (VOCs) react in the atmosphere with nitrogen oxides and other compounds to form ozone and particulate matter and influence air quality and human health. Scientists traditionally thought VOCs were emitted mostly from vehicles or from gas and oil production. However, new research from CSD is documenting the contribution of personal care products to urban VOC levels. A study led by CSD's Matthew Coggon recently published in the journal Environmental Science and Technology focuses on emissions from personal care products. These products, including lotions, deodorants, and shampoos, once applied evaporate quickly and emit a type of VOC into the atmosphere called decamethylcyclopentasiloxane (D5 siloxane). The average person emits between 100 and 200 mg per day of D5 siloxane. It is long-lived and can be transported globally. 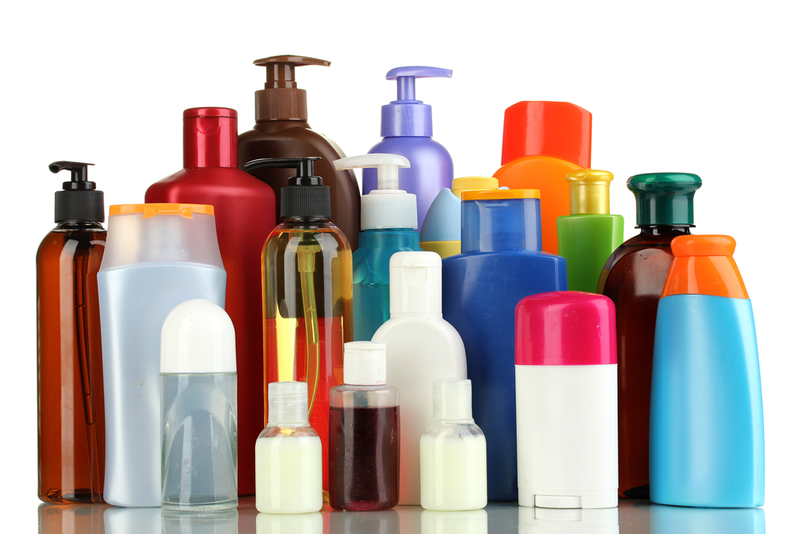 Siloxane evaporates from the use of personal care products. Levels peak in the morning when people use products as part of a typical daily routine then go outside. Benzene is commonly used as a marker for vehicle exhaust. Levels peak during typical daily commute hours. Coggon and his colleagues made real-time measurements of ambient D5 siloxane in Boulder, Colorado and Toronto, Ontario in 2015 and 2017. In both places, they found that the emission rate of D5 siloxane is comparable to the emission rate of benzene, a marker of vehicle emissions. That finding is striking. Even though we use almost 15 times more fuel than household products, chemicals in personal care and other everyday items are contributing just as much to VOC emissions, suggesting the need for further assessment as well as advances in manufacturing. These findings support other research conducted by CSD's Brian McDonald released in Science earlier this year. The study of emissions of household products as a dominant urban air pollution source used chemical modeling and atmospheric chemistry measurements in Los Angeles to demonstrate that household products produce around 50 percent of the VOC emissions measured there – evidence that the impact of household products on VOC emissions is greater than previously believed. Coggon continues to investigate emissions from personal care products, since further research is needed on the emission of D5 siloxane and the larger class of chemicals called cyclic volatile methyl siloxanes (cVMSs) to which D5 siloxane belongs. It is known that D5 siloxane reacts in the atmosphere to form particulate matter. However, there is still a need to understand its impact on ozone. Coggon, M.M., B.C. McDonald, A. Vlasenko, P.R. Veres, F. Bernard, A.R. Koss, B. Yuan, J.B. Gilman, J. Peischl, K.C. Aikin, J. DuRant, C. Warneke, S.-M. Li, and J.A. de Gouw, Diurnal Variability and Emission Pattern of Decamethylcyclopentasiloxane (D5) from the Application of Personal Care Products in Two North American Cities, Environmental Science and Technology, doi:10.1021/acs.est.8b00506, 2018. Decamethylcyclopentasiloxane (D5) is a cyclic volatile methyl siloxane (cVMS) that is widely used in consumer products and commonly observed in urban air. This study quantifies the ambient mixing ratios of D5 from ground sites in two North American cities (Boulder, CO, USA, and Toronto, ON, CA). From these data, we estimate the diurnal emission profile of D5 in Boulder, CO. Ambient mixing ratios were consistent with those measured at other urban locations; however, the diurnal pattern exhibited similarities with those of traffic-related compounds such as benzene. Mobile measurements and vehicle experiments demonstrate that emissions of D5 from personal care products are coincident in time and place with emissions of benzene from motor vehicles. During peak commuter times, the D5/benzene ratio (w/w) is in excess of 0.3, suggesting that the mass emission rate of D5 from personal care product usage is comparable to that of benzene due to traffic. The diurnal emission pattern of D5 is estimated using the measured D5/benzene ratio and inventory estimates of benzene emission rates in Boulder. The hourly D5 emission rate is observed to peak between 6:00 and 7:00 AM and subsequently follow an exponential decay with a time constant of 9.2 h. This profile could be used by models to constrain temporal emission patterns of personal care products.